The utterly dull U2 were playing a gig for Radio 1 on top of Broadcasting House, it’s only round the corner from our office so Nat decided that this was his opportunity to sort out Bono’s tax problems. I don’t know much about it, but apparently U2 are squirreling their earnings away in Holland, and so avoiding UK tax. 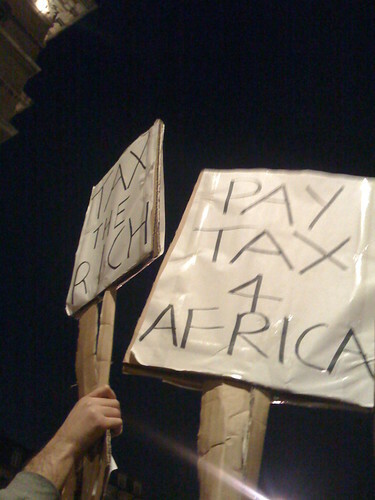 Something like 0.5% of our taxes go to aid in Africa, so by not paying taxes in the UK Bono is pretty much destroying Africa. Or just setting a bad example really.